First of all select a wedding date which is suitable for both families and with in that you can complete your task regarding the marriage. 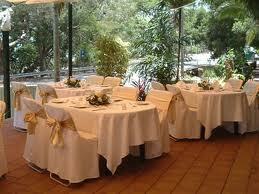 selection of marriage date is very much concern with the season, it mean that the season should be moderate. Plan your marriage according to your allocated budget, all the ceremonies and functions are designed with in your budget and make sure that when you increase your expenditures the burden will directly effect you in future. Before starting marriage you have to compose a complete guest list, this will help you for managing the arrangements for the guests, The guest list would indicate the number of guest and their requirements during the wedding ceremonies.Through this list you will be able to arrange the accommodation of these guests. The selection of venue is most important part of the wedding because the venue can facilitate your wedding ceremonies and if it is not up to the standard then it can create problems. Keep in mind the ceremonies which is going on and then select the venue, the venue should be in a reach of all the guests and provide all the require facilities. All the wedding ceremonies should be covered by a professional photographer or video grapher because these are unique moments of your or your beloved one life, so the coverage of wedding ceremonies are covered by such types of expert photographers. Wedding is an important occasion of life and keep it in your mind that it should be a historical, so select the wedding dress according to season, fitting and personality. Moreover select the best available boutique or dress designer of your city. Arrange your shaadi dresses before the marriage ceremonies.Now each and every type of shadi dresses are available in Pakistan. On wedding lunch or dinner the selection of menu and selection of dishes are up to your budget and invited guests, your local guests like local dishes while the foreign guest like different types of dishes. The best combination of dishes should contain the balance of salty and sweet dishes with different types of cold drinks. Select the nice and organize team of musicians which can enhance the charm of your wedding on this happy day, shadi band or wedding bands are available very easily but the you need a band team with good reputation. After the all wedding ceremonies and tiredness it is compulsory and trend that you should arrange a honeymoon trip, that may be with in country and it may be out side the country but it depend upon your budget. The honeymoon trip plan according to the season and taste or choice of both of you.